Broadwood Grand piano for sale with an oak, arts and craft style case. Besbrode Pianos Leeds Yorkshire England UK. 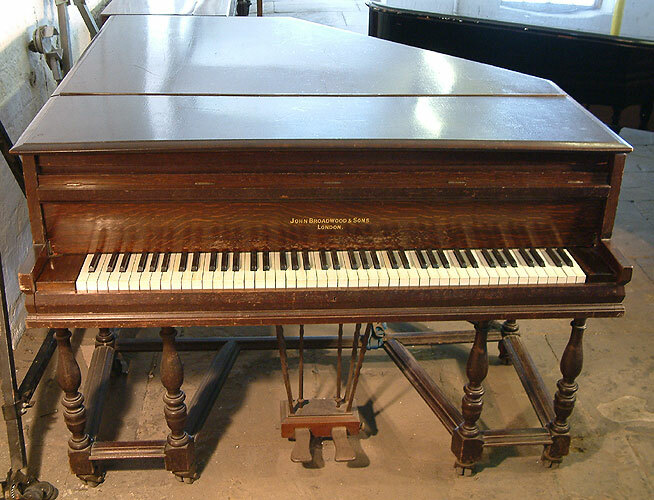 A Broadwood grand piano with an arts and crafts style oak case. Description: Arts and craft style case with a satin oak finish. Unusual legs.